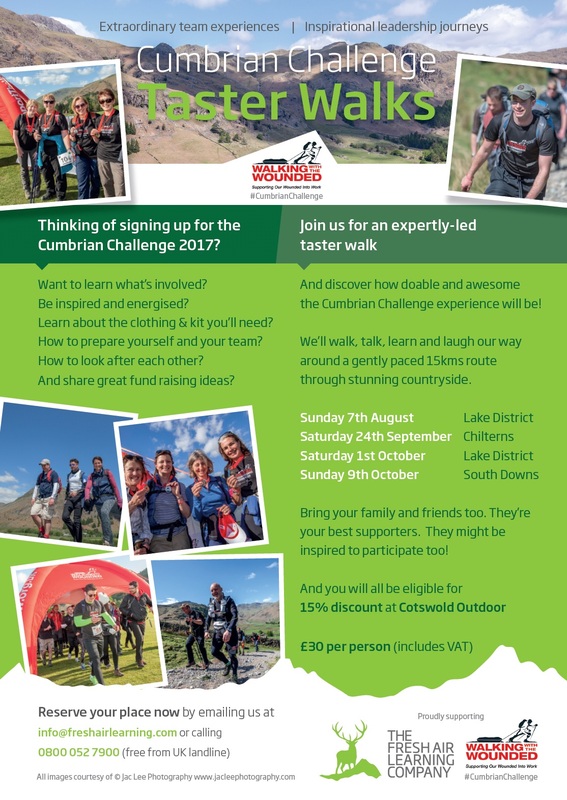 Thinking of signing up for the Cumbrian Challenge 2017? Join us for an expertly led walk by The Fresh Air Learning Company and discover how doable and awesome the Cumbrian Challenge experience will be! We’ll walk, talk, learn and laugh our way around a gently paced 15kms route through stunning countryside. Bring your family and friends too. They’re your best supporters. They might be inspired to participate too! And you will all be eligible for 15% discount at Cotswold Outdoor!